When a small business buys an accounting or tax preparation application, like Intuit, Drake or Sage, typically its installed on one or two computers and stored within a local network where individuals access the integral business and financial information. However, if the local network or server or application(s) crashes, the information is lost, and users must rely on the backup – assuming it was backed up. The popularity of Cloud Computing Accounting Hosting has grown dramatically over the last five years. The poster child for this movement is (of course) Cloud9 Real Time,* but there are hundreds perhaps thousands, of business software applications now being provided securely and cost effectively over the Internet using a reliable cloud computing host. In recent years, increasingly, accounting firms (and small businesses in general) are turning to cloud computing services to host their accounting and tax software. Instead of installing the accounting application on your local desktop computer, you can utilize a cloud service and access your company’s financial information online. One of the main selling points of cloud computing storage is that it allows businesses to outsource the elements they don’t wish to deal with. Cloud service providers also offer many incentives to small businesses such as fewer and automatic software upgrades, enhanced technology, superior security, increased access to wireless devices, and reduced or eliminated need for an IT staff or contractor. For a small business or professional practice, cloud computing can makes it easier to manage your company’s critical data. For example, the cloud computing company handles all elements of the infrastructure, therefore eliminating the need for a company to purchase or maintain a local server. With Web-based accounting applications hosted through a cloud computing service, you needn’t worry about updating or backing up to a network drive, and an unlimited number of users can be granted access to your company’s accounting and financial information. With a cloud computing-based accounting program, you are provided with a username and password, which can be shared with integral members of your company for anytime-anywhere secure access. Cloud computing accounting software is accessible from anywhere and at any time. 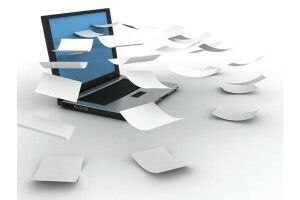 Instead of being at the office, Your company or client’s accounting files can be accessed from a mobile device, smart pad or even a home computer by logging in through the cloud service site. Bookkeepers and accountants can have access anytime and anywhere, and they can be provided with a special username and password that allows them as much or as little access as you see fit. With this level of accessibility, the time you spend traveling to and from your office to update your books is cut significantly, which provides you with extraordinary flexibility to run your business from wherever you are. Investing in cloud storage accounting software is significantly cheaper than purchasing a hard disk and installing it in the office. Not only will you save the cost of additional storage and network set-up, but you will also save on the initial accounting software package price, which can typically start at $200 and go rapidly up. That being said, you will have to pay modest service and lease fees, typically billed, at a customer’s option, monthly, quarterly, or annually. Cloud storage and accounting have created a new way to account for your business. Upload receipts from your phone, account for an expense while on vacation or even print out a ledger from your accountant’s office – the possibilities with cloud storage accounting are endless.